President Donald Trump’s former chief strategist has announced he is launching a new foundation aimed at supporting right-wing populist causes in Europe. 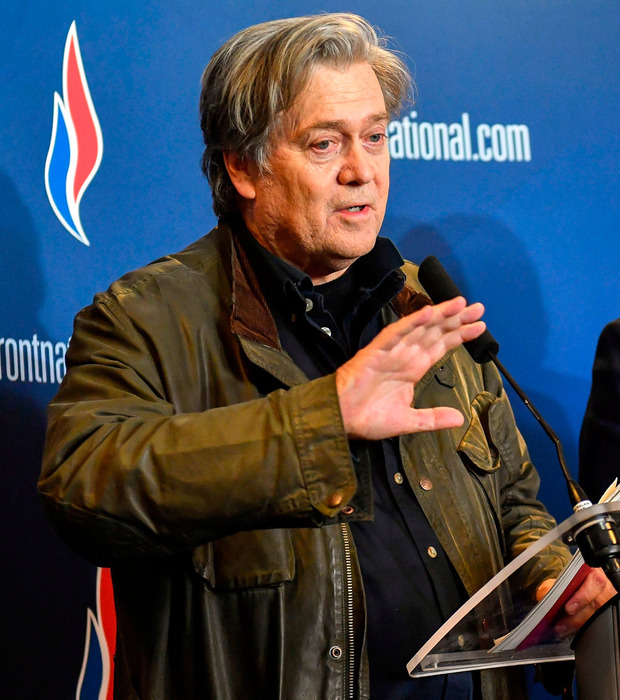 Entitled ‘The Movement’, the group led by Steve Bannon will aim to lead a revolt across the continent, starting with the European parliament elections next spring. Mr Bannon, the former editor of ‘Breitbart’ and a close ally of Nigel Farage, confirmed the news to ‘The Daily Beast’. Since being forced out of the White House in August 2017, Mr Bannon has been travelling around Europe supporting right-wing political groups. “I’d rather reign in hell than serve in heaven,” he said, paraphrasing John Milton’s Satan in ‘Paradise Lost’. He flew to Italy in March ahead of elections that saw populist parties claim about half the vote. He then spoke at a nationalist rally in Zurich, where he also reportedly met Alice Weidel, one of the leaders of Alternative for Germany, a far-right party, now the largest opposition faction in Germany’s parliament. In France he attended the party congress of the National Front, where he threw his support behind Marine Le Pen. In May he spoke in Hungary after the re-election of Viktor Orban. Mr Bannon’s non-profit organisation will be a central source of polling, advice on messaging, data targeting and think-tank research. He wants his organisation to rival George Soros’s Open Society, which has given away $32bn (€27bn) to largely liberal causes since 1984. Mr Bannon said he envisions a right-wing “supergroup” within the European Parliament that could attract as many as a third of the MPs after next May’s elections. Meanwhile, Spain’s conservatives have shifted to the right, electing a traditionalist as leader as they seek to re-establish a clear identity less than two months after being removed from government. Pablo Casado won a clear victory in the ballot of People’s Party (PP) members, and launched his mandate with a call for party unity, a stronger Spain at the heart of Europe and tougher laws to stave off independence by its regions. David Chazan Growing numbers of French people are embracing the liberté of nudism, not just on beaches but also for activities from yoga, singing and gym classes to bowling and trampolining. Edward Malnick Fewer than one in 10 people in the UK have faith in local and national governments to do the right thing by them, according to a stark new poll. Donal O’Donovan European Economy Commissioner Pierre Moscovici has said differences of position on trade tensions remained after talks among G20 finance ministers in Argentina, but the meeting was not tense.